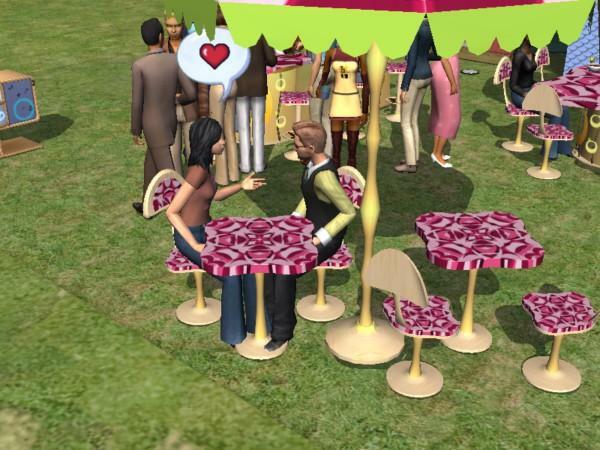 If you liked the WayCoolinary Modular set, then you'll love the "Groovy Party" set, which has been created as an extension to the Way Coolinary one. Bring the "groovy style" out of your kitchen! 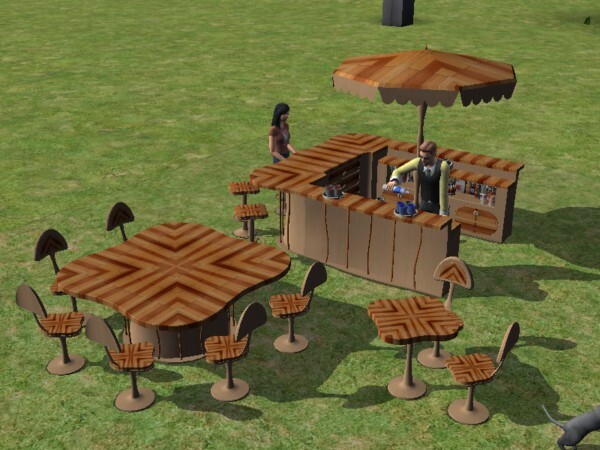 Fill your garden, home tavern or business bar with the nifty and stilish items of this set, and have a great party with all your friends! 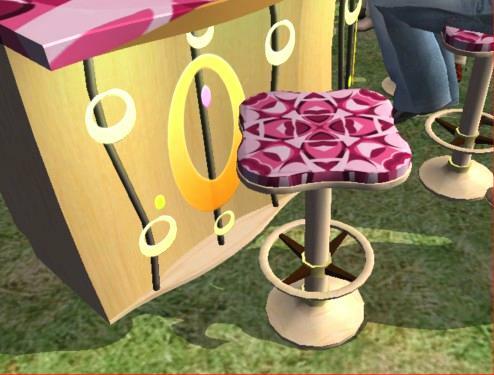 Recolours for the Maxis "Way Fluid" island bar: "Cat" and "StripedWood"
The "Groovy Party" set borrows the textures from the Maxis "Way Coolinary" counter, just like the entire WayCoolinary Modular Set. 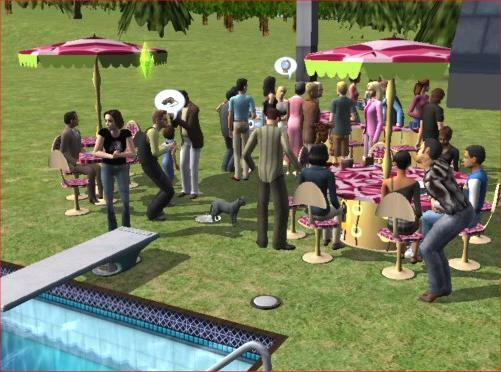 This means that every recolour created for the mentioned Maxis counter will apply automatically to the "Groovy Party" set. 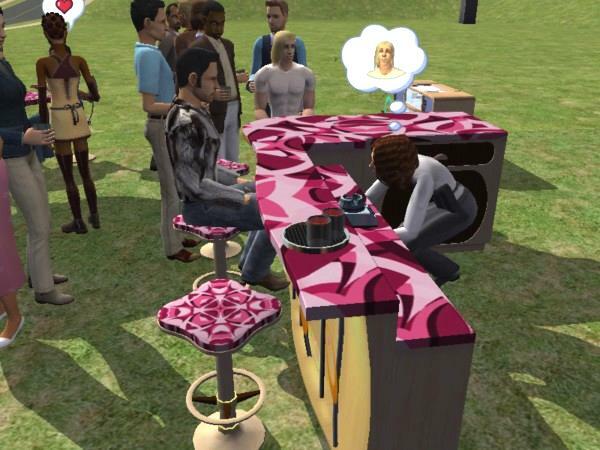 Only exception is the Maxis "Way Fluid" island bar: it's an autonomous object and uses its own textures. 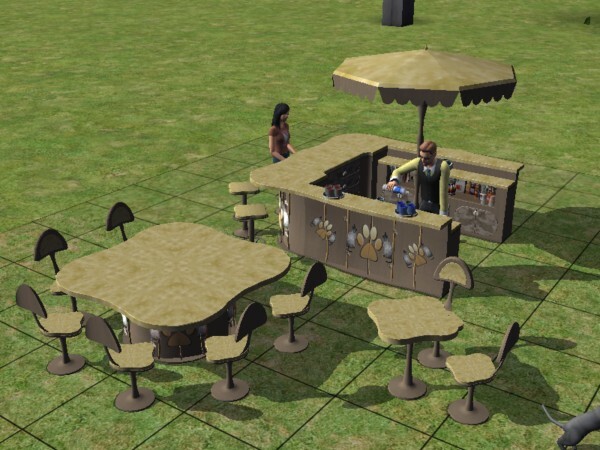 Therefore, in order to match the Maxis island bar with the recolours already created for the WayCoolinary Modular set, we provide two special recolour packages that extend the "Cat" and the "StripedWood" recolours to the island bar. GAME REQUIREMENTS: the University EP is required. 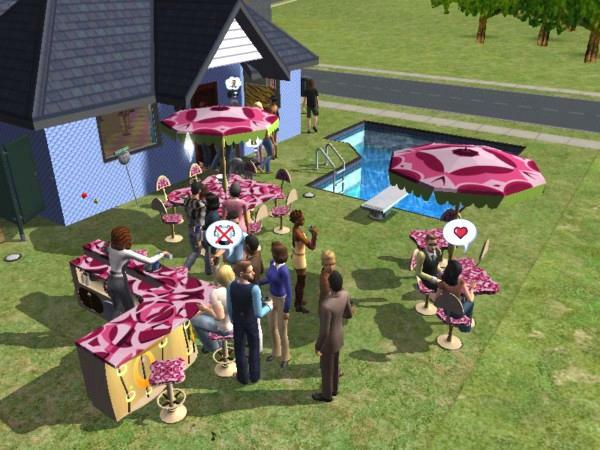 Most of the objects of the set don't need special instruction. 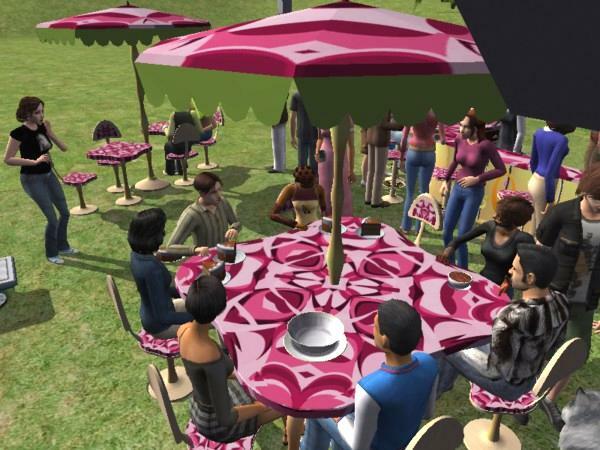 The Sunshade Umbrella has been tweaked to be placed in the middle of the large table, or surrounded by 4 Multi-Junctions; it can only be placed alone on the ground, since it has its own stand. INSTALLATION INSTRUCTIONS: as usual, put the packages in the downloads; remove the packages to uninstall. You can use the Q-Xpress, if you like.